Roaming Shores, home of Lake Roaming Rock, the largest private-lake in Ohio, celebrates its 50 year Anniversary in 2016. To celebrate this major milestone, the RomeRock Association is proud to present “The History of Roaming Rock Shores”, a detailed history of how our private lake came to be, its colorful history, and what’s in store for its future. It was the 1950s. World War II was finally over and life was beginning to settle down in America. Soldiers who returned home from the war were beginning to make their own families and the baby boom was exploding. The need for housing, coupled with a desire to settle down outside of the cities triggered a rapid suburban growth. “Bedroom communities” were popping up outside of cities throughout the country almost overnight. But with this rapid development came new challenges. As developers worked day and night to keep up with demand, officials struggled with ordinances and laws that, when they were conceived, were more appropriate for metropolitan areas than suburban communities. People criticized suburban sprawl for its ugliness, cultural conformity, social isolation, and environmental problems. In an effort to slow down the incoming tide of new housing, developers purchased and subdivided land outside of the suburbs. They in turn created their own zoning laws to police the use of land to raise the minimum size of life in order to prevent the building of lower cost homes that were needed. These subdivisions sought to preserve a country-like atmosphere. This lead to the creation of Homeowners Associations. Prior to selling any properties, developers were required to incorporate a Homeowner Association or HOA for the purpose of marketing, managing, and selling homes and lots in the residential subdivisions that were being developed. Following the completion of the project, developers transferred control and management of the subdivision solely to the HOA. The HOA in turn governs based upon the incorporated covenants and restrictions which were recorded when the property was subdivided. By the 1960s more ambitious real estate developers were purchasing land around small rivers and streams and creating man-made lakes. One such company was Development Services Incorporated, or DSI, based out of St. Louis, Missouri. DSI was headed by Kenneth F. Gorman, who used to head America Reality Corporation. 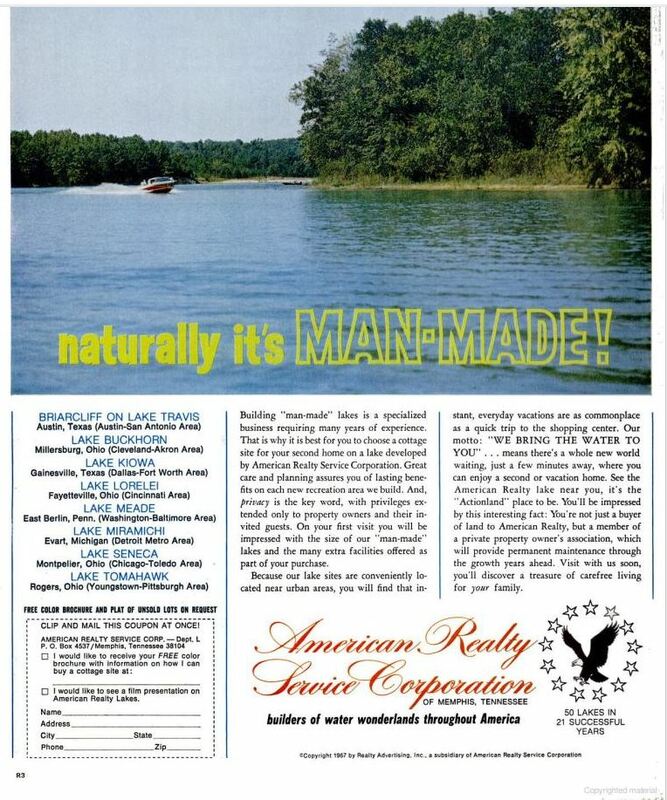 American Reality Corp had been creating lake subdivisions since 1946. By 1966, DSI had created 44 projects across the country with its largest being a thousand-acre lake in Mississippi, which, at the time, was the largest privately-owned resort community in the nation. With its most recent project wrapping up in 1965, DSI set their sights on 1,700 acres of land located in rural Ashtabula County, Ohio that surrounded a tributary of the Grand River, Rock Creek. On January 6, 1966, DSI began the process of purchasing 1,700 acres of land from 36 property owners from Rome and Morgan Townships. After many setbacks and at one point, almost abandoning the entire project, on June 10, 1966, the land purchase was finalized. There were initial concerns as to whether the proposed Grand River Reservoir would affect the newly formed community, but even if the project had come to be, it would not have affected Roaming Rock Shores. With the land needed secured, DSI formed a subsidiary for Roaming Rock Shores, the Roman Rock Corporation, for the purpose of developing the subdivision and selling its lots. The RomeRock Association was incorporated on June 14th, 1966 as the Homeowners Association of Roaming Rock Shores. There was much to do, and DSI wasted no time. They immediately began clearing the densely wooded area to make way for the lake and the dam. Roaming Rock Shores’ lake, Lake Roaming Rock, was originally planned to be 450-acres, 4 ½ miles wide, with 16 miles of shoreline. Today, the lake is actually 550-acres, 5 miles long, with 22-miles of shoreline. The dam and the lake cost a little over $800,000 to construct. Adjusted for inflation, this amount would be closer to $6 million. Three bridges were removed to make way for the lake, one from Forman Rd to Rome Rock Creek Rd, one over Ketchum Rd, and the other, a covered bridge on Callendar. These roads still exist on both sides of the lake. The 90 foot covered bridge on Callendar Rd was sold to DSI for a dollar. The hope was to salvage the bridge and move it to the Beach 1 area. Unfortunately, after the lake was dammed, the lake filled in too quickly to move the bridges that spanned rock creek. Much to the chagrin of area residents, the bridge was burned down. A smaller version of a covered bridge currently resides across from the clubhouse to pay homage to the Callendar Rd covered bridge. The process of building the 800 ft dam began in 1966. The Class I earthen dam was completed in early 1967. After the dam was complete, the lake began to fill in quickly. The waters would reach the top of the dam by January 31, 1967. While the lake was the centerpiece of the entire development, it was not the only project in the works. A private lake community is about much more than a lake. While construction of the lake and dam was underway, on shore there was just as much construction happening. DSI had planned to create 2,500 to 2,800 lot sites, 700 to be waterfront. When DSI submitted their plans for the Roaming Rock Shores development for county approval, they had to meet the county formula for a given number of “green acres” in proportion to the number for building sites for homes. Surveyors had begun staking off the lots. To be able to have access to these lots, almost 30 miles of 60 ft. wide roads needed to be constructed. The Roaming Rock Shores Subdivision was, at the time, the only development of its kind to pave all of its roads. In addition to roads, 15 miles of water and sewer lines were beginning to be laid and a 100,000 gallon water tower was built. Another big draw to the community! It was one of the first developments to install a central sewage disposal system. Meanwhile, in the area that is now Beach 1, a Clubhouse was coming to life. The Clubhouse, a 3,500 square foot building, was a centerpiece to the community and a hub for events and meetings in the Shores. A sandy community beach was created outside of the Clubhouse. In the works was an Olympic sized swimming pool, playground, and game areas. Social Directors were hired to facilitate activities. Two cartoon beavers were adopted as the mascots of Roaming Rock Shores. In order to keep the community running smoothly, a maintenance department and security force was created. Just outside of the Clubhouse area, a prefabricated chalet from the May Company was built to serve as the Roman Rock Corporation’s sales office. Just outside of the Shores, private landowners had begun planning for a golf course and a landing strip. 1966 was a very exciting time in the Shores! By Memorial Day, the Shores’ first swimming pool and playground were completed and opened outside of the Clubhouse area. They came complete with plenty of lawn chairs and a changing area. With the completion of the boat ramp, the lake started to come to life. A private marina was opened near the boat ramp to service the boaters. Its owner was Tom Glass. He and his crew launched the first boat into the icy lake on January 30th, 1967 with 4-6 inches of ice still on the lake. They didn’t go too far, but made it to the dam where the workers were finishing up their work on the dam. The next day, the lake would go over the top of the spillway for the first time. A second beach was created near the dam on the north side of the lake with a third beach planned about a mile south of the Clubhouse. Work continued on the roads. A new entrance to extend Rome Rock Creek Rd to Route 45 was underway. With water and sewer line installation almost complete on the west side of the lake, the lines on the east and north sides began. On July 24, 1967, the area was hit by very sudden, severe storms. The Shores was pelted by hail and high winds. Construction workers were caught with no shelter. Two construction trailers were flipped; workers building a garage were trapped beneath it after it collapsed during the storm. The stone entrance to Roaming Rock Shores was turned into a pile of rubble. A new sign would be erected the following year. Despite the setbacks from the storm, 1967 was a year of great progress for the Shores! By 1968, while water and sewer line installation was continuing on the east and north sides of the lake, the roads on the west side were paved. The Water Treatment Plant was also completed; water at that time came from the lake. 6 additional boat docks, 4 beach areas (one being the area now known as Beach 2), and 4 park/picnic areas were slated to finish by June. Two additional pools were installed; one in Sunset Park on the Southwest side of the lake and one in Dawn Park on the Northeast side of the lake. At the Clubhouse area, a Concession Stand was completed and opened on Memorial Day Weekend. Inside of the Clubhouse, a Metal Horse Art piece was donated by Edward Kaufman. This art piece resided on the chimney of the Clubhouse until it was returned to the family in 2013. On the South side of the lake, the Thomas Farm was purchased to be the site of the RomeRock Association office. It served as the RRA’s office until 2014 when the 140 year old farmhouse was deemed to be unsafe. It was time to get to business, the first Annual Meeting of the RomeRock Association was held on October 12, 1968. 350 people attended. By the 1970s, most of the facilities were completed. The roads were all installed and paved, water and sewer was available to all lots, 4 pools were in operation, the Clubhouse was bustling with activity and social events, and lot sales were numerous. The first residential building permit was issued to Dr. Cyrgalis. At the Association Office, the familiar logo with the handshaking beavers was created, P.O. Box 8, the same one in use by the Association today was secured, and the first car and boat decals were being issued. But not everything was going smoothly in the Shores. In 1970, the RomeRock Association Board was sued by landowners who felt the by-laws were adopted without the consent of a majority of the active membership. Another source of contention dealt with the Hess family. A good deal of the management of the RomeRock Association in the late 60s and early 70s was performed by the Hess family. James Hess was the President of the Board of Directors, he was also appointed as the first part-time General Manager of the Association. His wife, LaVerne Hess, was the Social Director of the RRA. Their daughter Ronnie worked on the RomeRock News. Additionally, their sons worked in the maintenance department and security patrol. Most of these positions were paid positions, which did not sit well with some members who formed the Concerned Citizens Committee. In 1970, LaVerne resigned as Social Director and the Social Committee dissolved. James Hess resigned as the General Manager but retained his position on the Board until 1971 when Steve Vereb took over. The RomeRock Association would not have another General Manager for over a decade. With more boaters on the lake, there became an increased need for a patrol boat. 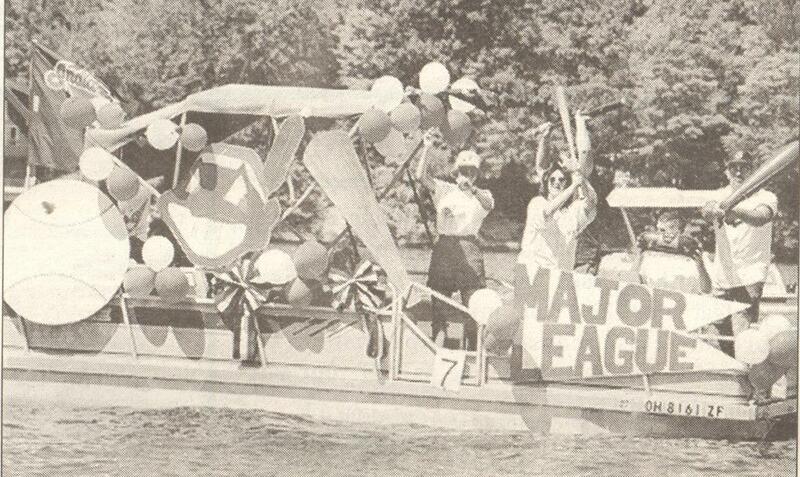 The Sheriff’s Marine Patrol had been patrolling the lake, but Association wanted to have its own patrol. Harold Hendershot donated a boat in 1969, but it had since dry rotted. The engine once caught fire while in use. The Patroller on board almost had to abandon ship. But a new patrol boat, like many things, cost money. With Dues set at $60 per member by the developer in the Covenants and Restrictions, it was growing increasingly difficult to keep the Association running smoothly. With more responsibilities, facilities, properties and costs being passed onto the Association from DSI, there was trouble on the horizon. Chief concerns were the condition of the roads, the dam, erosion, problems plaguing pools 3 & 4, and financial and water quality problems from the water/server company, Lakeside Utilities. Lakeside Utilities was a subsidiary of DSI. Despite setbacks, the RomeRock Association still proceeded along as best as it could. Snow removal equipment and a garage were purchased for the maintenance department. A proposal to purchase the Marina was voted down by the membership and plans to build an additional Clubhouse on the East side of the lake were abandoned. On the Social side of things, the Garden Club was one of the most active clubs. They hosted social gatherings, craft shows, and potlucks, in addition to beautification projects. Their first Flower Show was held in 1974. 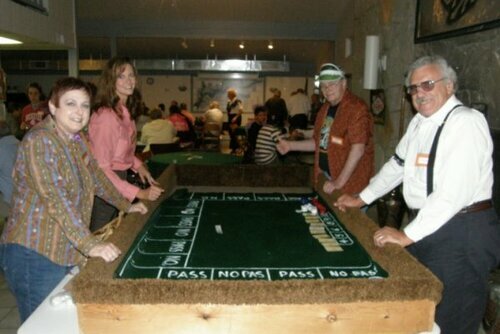 The larger social events were carried out by the Community Relation Committee who hosted annual Oktoberfests, Clambakes, Monte Carlo nights, and New Year’s Eve parties. By the mid-70s, after successful negotiations with DSI as to who would pay for the repairs, many roads were chip and sealed and pools 3 and 4 were upgraded. Additionally, the dam underwent a major facelift to extend both of its spillways and to install erosion control mats. The dam repairs were completed by DSI, as ordered by the State. Due to DSI failing to pay Koski Construction for their repair work, they began to foreclose on the dam. If successful, they could have owned the dam. In 1974, plans began to incorporate as a Village. The first public meeting on the topic lasted over 3 hours. Many residents, surrounding farmers, as well as representatives from Rome and Morgan Townships opposed the initiative. Plans for incorporation were halted by the Ashtabula County Commissioners as they felt the tax revenues would not be enough to support a village. Things were looking desperate. The Association needed to incorporate so that it could be issued bonds to pay for the roads, the dam, and purchase Lakeside Utilities from DSI. Village Incorporation would allow for federal and state funding for the Utility Company and would allow it to join a regional sewer district. The Association devised a plan to purchase Lakeside Utilities by having each resident pay $600 ($10 a month for 5 years). 502 members voted against the purchase and only 165 were in favor. The Board attempted to convince the Commissioners again in September of 1975 to incorporate a Village, but the Ashtabula Court had upheld the “no” decision. The case was taken to 11th district Court of Appeals who also denied incorporation in 1976. Words began to fly between different groups of residents. The group CAIR, Citizens against Incorporation of Roaming Rock was formed. 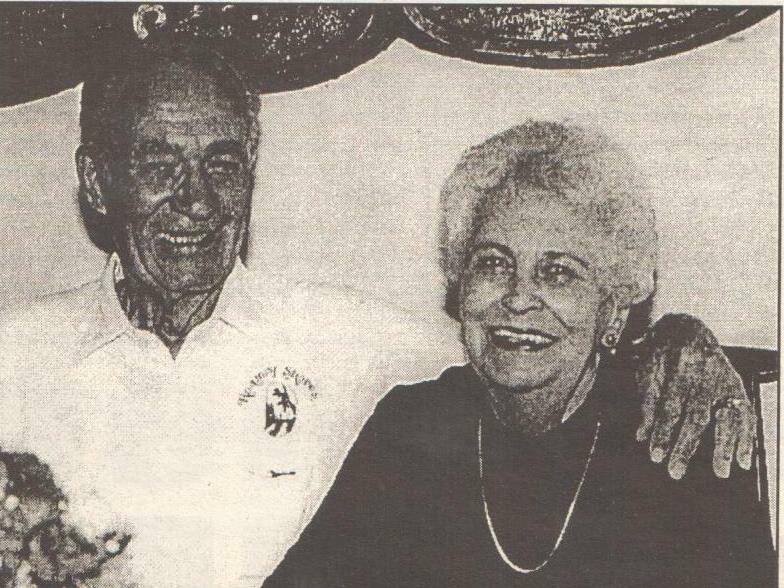 An independent newspaper, the RomeRock Guardian was published and edited by LaVerne Hess (former social director and wife of former Board President and General Manager James Hess) in opposition of incorporation and the operation of the Association. Strong words were exchanged in the Letters to the Editor, with the suggestion made that any board member who supported incorporation should resign. One board member did resign. The Board asked for permission for a Dues increase which must have a vote of two thirds of the membership. This increase was soundly defeated 644 to 351. At the next board meeting, a $40 fee for use of the lake was approved to cover cost of maintenance of pools and insurance premiums. Despite the problems that came about with Incorporation, the Shores celebrated its 10 year anniversary in 1976. This was the year of the first East vs West Tug-of-War, which is still held at Anniversary celebrations today. 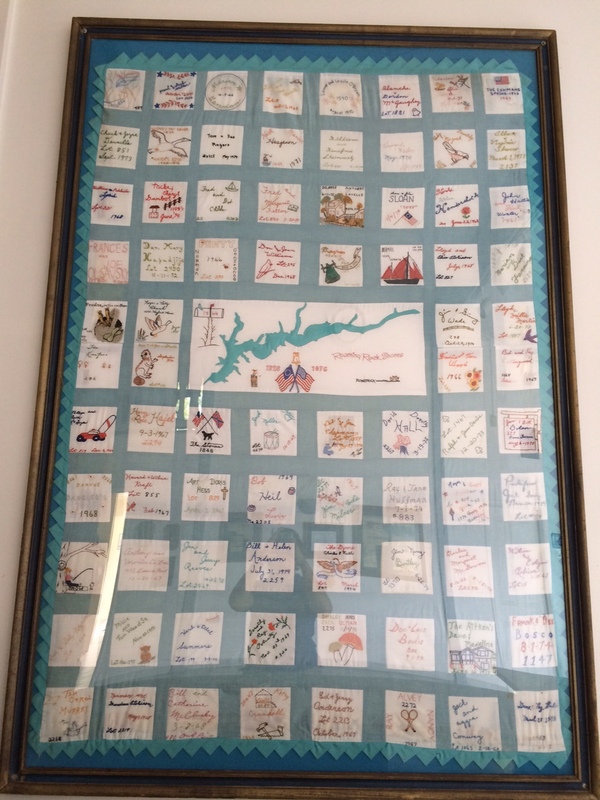 Members created a Bicentennial/10th Anniversary Quilt which still hangs at the Clubhouse. A new quilt was created in 2016 for the 50th Anniversary. In 1977, a blizzard hit the area which was coupled with a nationwide energy crisis. The Clubhouse was closed due to the energy crisis. Then in 1978, the infamous Blizzard of ‘78 hit. Many homes were out of power for days, including the Association which meant maintenance workers who were already having a hard time keeping up with the snow had to perform repairs without heat or power. Many members helped using their own equipment. A CB monitoring group helped direct emergency services. For Lake Management, the first Weed Harvester “Chub” was purchased in 1979 to control weeds. It was paid for with donations and pledges. Due to amount of weeds in the lake, it needed a better transmission in its first year. Dr. Cooke of Kent State University conducted a lake study. Dredging, erosion control, and siltation basins were recommended solutions. The problem was still income. Much to the relief of the Board of Directors, the Association won a judgment in the courts to apply assessments for needed projects. The first such assessment was issued for the roads, which were left by the original developer in poor condition. This greatly helped the Association to keep its head above water, but the need for Incorporation still existed. It had seemed that the idea of incorporation had fallen by the wayside, but the Association still fought for it. In 1978, Rock Creek failed to represent itself in appeal. As a result, the decision went back to the Ashtabula County Commissioners. In March of 1979 the RomeRock Association President proclaimed “It appears that a new Village has been formed.” He urged more participation by more members now that the two groups would be working together to benefit everyone. Village status had been granted by the Commissioners, Roaming Rock Shores became Roaming Shores. Nothing had been said about plans for the incorporation while the case was before the courts in order to avoid conflict. Rome and Morgan townships kept their boundary lines within the Village, despite the efforts of those who sought incorporation, this lead to less tax revenues than were anticipated for the newly created village. “Now is the time to bury the hatchet and work together.” said Norm Atchison, Roaming Shores’ first Mayor. In September of ’79, Savings and Loan Association began foreclosing on Lakeside Utilities. In 1980, utility company attempted to raise water rates 4 times the previous rate, but ended up declaring bankruptcy. Following a lengthy lawsuit between the developer, Lakeside Utilities, and the Village of Roaming Shores, the lake bed and dam were put under the control of the RomeRock Association clear of all encumbrances. The Village then purchased the Lakeside Utilities for $1,500,000. It was the beginning of a new era for the newly incorporated Roaming Shores. As relieving as it was to finally have the lawsuit with DSI resolved and the Village in operation to take over the failing Utility Company, the dust that had yet to settle began to stir again. Unfortunately for the Shores, during the process to incorporate as a Village, those who fought for incorporation were not able to eliminate Roaming Shores from existing in two townships. Therefore, the Village was not able to pull in as much tax revenue as it had hoped to. Additionally, the Village had to wait for what tax revenue it was entitled to receive to arrive. Village officials spent this time in the planning phases. Just like the Association, the Village needed to build its governing documents from scratch. Not everyone in the Shores welcomed their new governing entity. A property owner felt that because there were two governing entities in the Shores, one that was receiving its income from Dues and the other from Taxes, they were being taxed twice. They joined forces with other like-minded Members in an effort called Solidarity to disband the Association. Their efforts were thwarted in the courts. 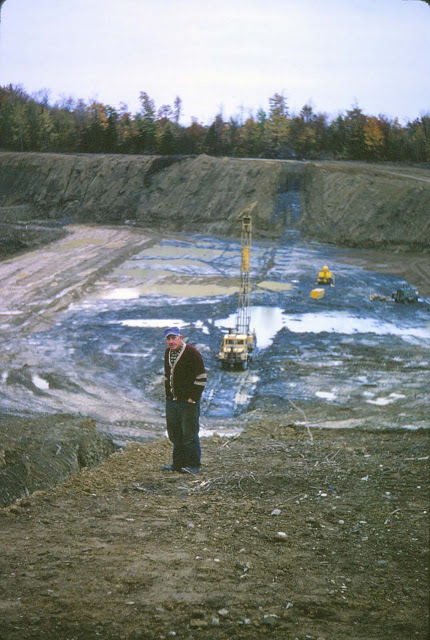 The first attempt to dredge the lake occurred in 1980. 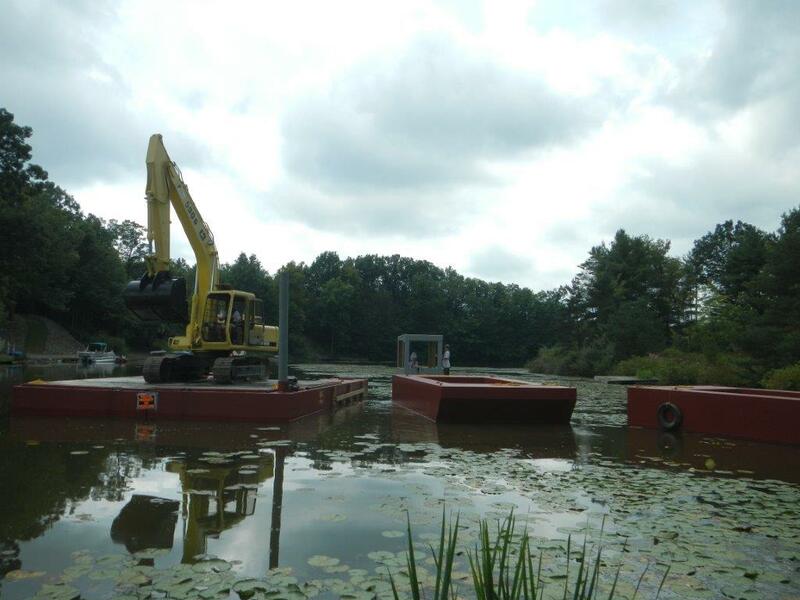 Lake Management located a hydraulic dredger, but it needed land for the spoils and the deed for the lake bed was still in progress. The dredger was sold to a third party before it could be secured. Despite some setbacks, the 1980s brought with it many of the accomplishments that we still see today. Over at the Village, the first Village Hall was completed, the water tower received a face lift and the Village’s logo was adopted. The logo was created by Marilyn Morris. In 1986, the Association celebrated its 20th Anniversary! It was a wonderful event that included a fishing contest, a boat parade, the East vs West Tug-of-War, a Volleyball tournament, Kids games, a face-painting booth, and a balloon release. For the balloon release, several balloons with a note were released over the beach. Several responses from multiple states were received. At the RRA, the duties of running the Association had been up to the Board of Directors since James Hess resigned as General Manager in 1970. At the time, the Board did not seek to hire a new GM until the road repair agreement with the developer had been settled. Now, over 17 years later, the Board conducted a feasibility study to determine the need for a General Manager. 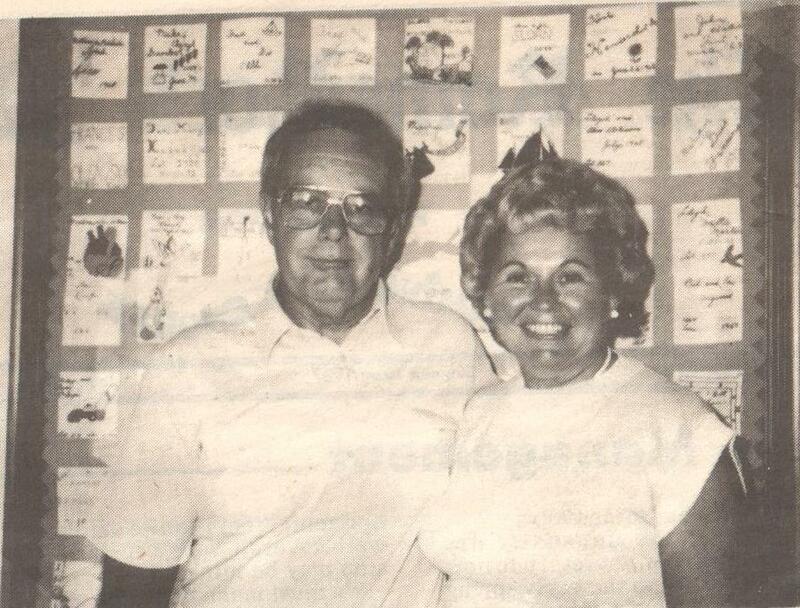 In 1987, Ron and JoAnn Leach, husband and wife members, were hired to serve as co-managers of the Association. Ron was an active member of the Building Committee, Friends and Neighbors, the Fishing Club, and Dance Club. JoAnn was a member of Friends and Neighbors, Ladies Luncheon, the Dance Club and was President of the Promotion Club. She had chaired the 20th Anniversary Celebration the year prior. Six weeks after the Leaches began their work as General Managers, Pat Sowry was hired to work in the office. Pat continues to work for the Association to this day. Together, they worked to computerize membership information and bring the RomeRock Association into the digital age. 1987 was also the very first Kenny Lippert Kids Fishing Day, a fishing tournament for kids with fun and prizes for the young fishermen. The Lake Management Committee was taken over and headed by Monroe Frados and Newt Bakely. Their efforts during their tenure were honored by the State of Ohio. In 1988, a committee was formed regarding the dredging of the lake. There was talk of adding a $500 lake assessment to help pay for the program. The plans fell through as local farmers did not want dredge material on their land. Also in 1988, plans to bring natural gas and cable TV were becoming a reality. The Village and Association made strides in working together. In order to encourage new property owners, they set up a booth at the Sportsman show at the IX center. Marlyn Cantini, who at that time was the President of the Promotion Club, had a dream to have an Annual Fireworks Display. 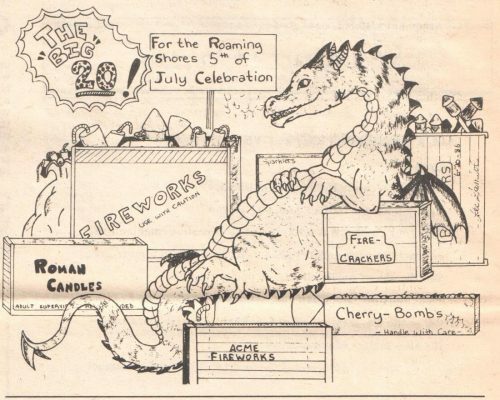 The dream became a reality in 1988 and the Promotion Club’s Annual Fireworks Display continues to be the highlight of the year during the July 4th Celebration. In 1989, the Village of Roaming Shores attempted to establish a Police Department. The Roaming Shores Police Department (RSPD) would work in conjunction with the Association’s Security Forces. Its Chief was Randy Rasmussen, who had worked with the Roaming Rock Shores Security Forces since 1988. Chief Rasmussen replaced retiring RRS Chief Leon Jablonski. The Village struggled to fund the department and it was disbanded after failing to pass a Police Levy. Rome Rock Security remained in place. Also at the Village, the first Village Administrator was hired. A familiar face was also elected as the Village’s Clerk Treasurer, Leeann Moses. Leeann continues to hold this position today. Her parents were long time members. Her father, Bill Moses, was a prominent realtor for the Shores. A lot of changes occurred around this time. The Village began efforts to take ownership of Roaming Rock Boulevard, the main road that leads to the Clubhouse. The Marina, then known as B&G Marina, was sold at Sherriff’s Sale to a Roaming Shores member and became Rock Point Marina. The Association’s aging weed harvester “Chub” was replaced by a newer model weed harvester to mow weeds in the summer. We were now halfway to our 50th year! In 1991, Roaming Shores celebrated its 25th Anniversary. It was a jammed-packed one-day event including a fishing contest, kids games, a decorated boat parade, a volleyball tournament, a water ski exhibition, and the traditional East vs West Tug-of-War. It was a hot day, which brought out quite a crowd. The covered bridge that spans the cove next to the Clubhouse was completed in time for the celebration. The same year, the RRA hosted its first Ohio Lake Communities Association (OLCA) conference. The OLCA was formed to improve communications between Ohio Lake Communities and to provide a forum to exchange ideas on common interests and keeping informed on developments affecting Lake Communities. During a lot take back program in the Shores, a developer/realtor purchased several lots for the purpose of building and selling homes. His efforts were initially welcomed. This, coupled with an improving economy, lead to the beginning of a housing boom in the Shores. Many of the changes that occurred during this time can still be seen today. In December of 1992, Roaming Shores partnered with Gazette Newspapers out of Jefferson to publish what we know today as the Shores News. Residents were also officially able to say they lived in Roaming Shores as Roaming Shores acquired its own mailing address. Greeting them at the entrances of Roaming Shores were 10 new community signs donated by resident Frank Cicogna. Another familiar site popped up across from the Marina, the Marina Bay Café, a bar and restaurant that sat right on the lake. Marina Bay was a popular destination for boaters and land lovers alike. In November of 1993, Ron and Joann Leach, the co-managers of the RomeRock Association resigned due to a disagreement with the Board over office procedures and the handling of the lot buy-back program. Tempers flared during a special RRA meeting regarding their departure. Even a fist fight broke out between members. The Leaches attempted to rescind their resignation, but Board refused. In December, Gary Phillips, the former safety director in Conneaut, was hired as their replacement. One of his first accomplishments was an ice skating rink by the Clubhouse. Major improvements were made during Philips’s first year. Beach 2 was improved and expanded adding in a staircase to the lake and moving the beach itself to combat erosion. Thanks to the proceeds from the 25th Anniversary Celebration, a playground was also built at Beach 2. Despite the success of its events, Roaming Shores clubs were starting to lose active members. Over near Beach 1, a lighted River Walk was completed. The boat ramp also received a facelift. In October, the dam valve was opened for the lake draw down. Favorable weather led to a rapid draw down. This allowed the maintenance department to dredge by driving equipment directly into the dried out lakebed. Several truckloads of silt and garbage were removed from the bottom of the lake. 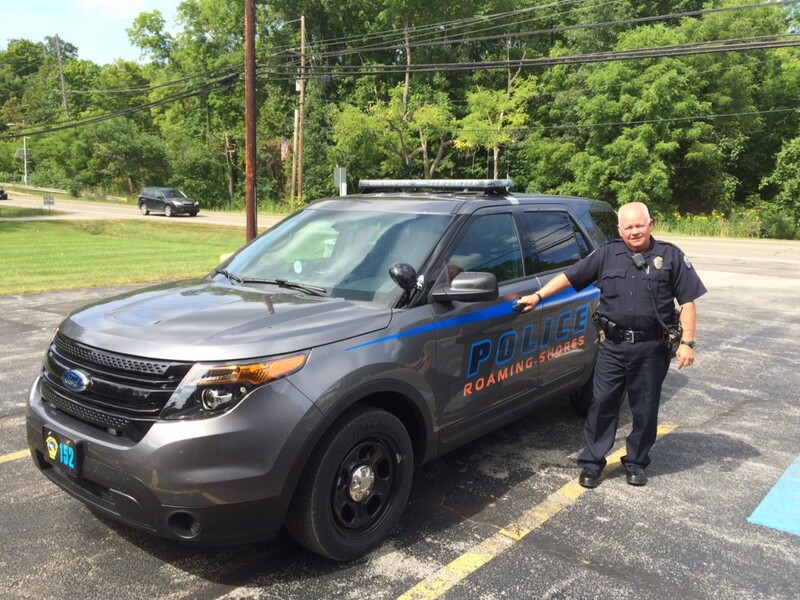 Over at the Village, the re-established Police Department bought its first police cruiser. Previously, the department had been using the RRA’s security cars; however, the cars were not always available. In September of 1995, the Village promoted Carl Hohman, a RRA Security Officer, to Interim Chief of the Roaming Shores Police Department. Hohman served until 1996, when the Village hired William Glover as the new Chief. Glover was able to obtain a COPS grant to fund the department and hired a second officer, RRA Security Officer Randy Rassmussen. During this time, the Village was also working hard at keeping the water department in working order. The Village needed to raise water rates to fund a pipeline project that would tie the Village in with the Ohio Water Service in Ashtabula County. This would give the Village a new water source instead of using water from the lake. The Village also provided water to the newly constructed Shores Side Condos on Hayford Rd. Lines were also ran by Orwell Natural Gas to provide natural gas service access to all residents. 1996 marked the 30th Anniversary of Roaming Shores. Several improvements were made prior to the celebration. In the works was a 2 year project to pave all of the roads in Roaming Shores. 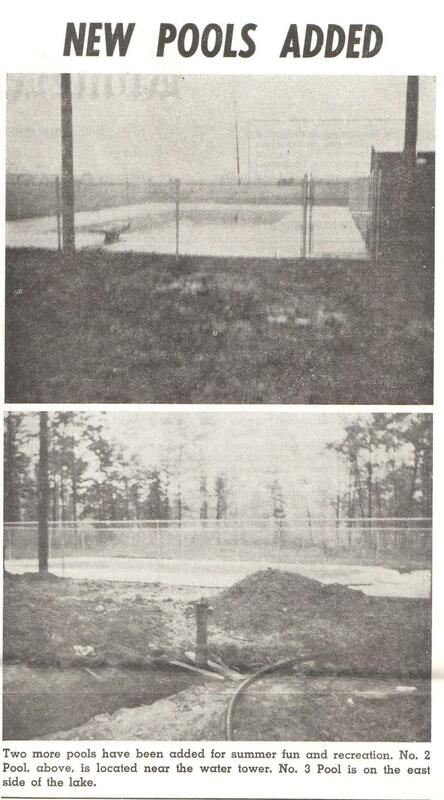 Amenities were improved with the construction of basketball courts and baseball fields, with a tennis court also planned. New pavilions were constructed with BBQ pits placed nearby for picnicking. The Fishing Club funded its own pavilion, an overhang addition to the Clubhouse. Major improvements were also made to the dam. The 30th Anniversary Celebration was a 4 day event that included a Boat Parade, King /Queen Contest, Paddleboat Races, a Dance, a Golf tournament, and multiple Dances for young and old. This time period was not without controversy. During one of the takeback programs, a developer acquired several lots for the purpose of building and selling homes. There was much opposition to this developer after he constructed a model home in the Shores. Additionally, the developer hosted ‘A Day at the Shores’ to attract new members, which basically gave potential buyers a free pass to use all of the amenities for a day, much to the chagrin of paid members. The marketing worked however, Roaming Shores experienced an influx of new members. The influx of new people to the Shores was not all positive. With more people and traffic, cases of burglary and vandalism increased and kept the police department busy. A major burglary occurred on the East side. The burglars stole electronics, family heirlooms, and valuable war memorabilia. Their getaway car was ditched and several items were dumped into Flame Lake, including a buffalo rifle worth over $15,000. The suspects were traced from their car and prosecuted. A few months later RSPD Chief Glover resigned to join the Ashtabula Police Department as part of a drug elimination grant awarded to the Ashtabula Metropolitan Housing Authority. After 11 years, Roaming Shores Mayor Rev. Art Hess also resigned from the Village. Randy Rasmussen was promoted to Chief. Glover’s term with the Ashtabula Police Department came to a tragic end on November 17, 1997 when he was killed during a pursuit. Glover lived with his family in Roaming Shores; his loss hit his friends and family in the community hard. 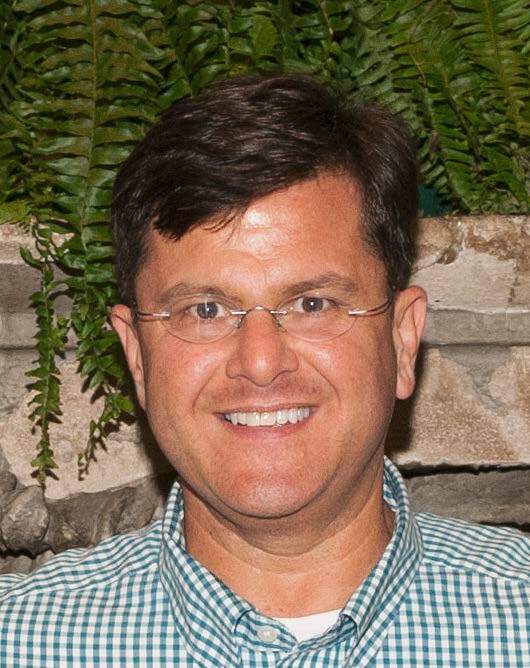 More tragedy hit the Shores the following year when a boating accident over the 4th of July weekend claimed the life of Jason Scribben. The newly created volleyball court at Beach 1 was named for Jason, an avid volleyball player, and became the annual site of the Jason Scribben Memorial Volleyball Tournament. Crime continued to be a problem in the Shores with multiple cases of vandalism reported and the RRA’s new backhoe being stolen. Tensions between the Police Department, the Mayor, and Council were high. Sgt. Ashba resigned and Tom Despenes was hired. The Police Department was in trouble, the COPS grant which had funded the department was running out. A Police levy was needed to keep the department running. Past efforts to pass a Police levy had failed. A petition was even passed to eliminate the Police Dept. A Roaming Shores resident, Pat Long, rallied for Police Department and created Neighbors for a Better Roaming Shores. In 1999, the efforts of Neighbors for a Better Roaming Shores helped pass the Police Levy. During the same election, a coin toss was required to settle a tie between councilmen, Robert Rainey was the victor. The coin toss was newsworthy enough to make it to CNN. Improvements continued around the Shores. The OTO (Over 21) Club raised enough funds to build a playground for Beach 1. Major work was also completed at the Knowlton Rd entrance, rerouting Plum Creek Drive and Morning Star Drive. The Village also opened a Compost Site to allow residents to dispose of their yard waste. Running along the Shores, the former USRA 714 rail line was being converted into a bike trail to be known as the Western Reserve Greenway Trail. Greenway Trail Planning Coordinator Kevin Grippi approached the RRA Board regarding building a covered bridge along the Rails to Trails Greenway Trail. The proposed bridge never came to fruition; however, Grippi would, in a few years, become the Village’s Administrator and Zoning Inspector. The biggest projects Roaming Shores had seen since its inception were on the horizon. With the turn of the century in 2000 began a period of great change in Roaming Shores. The RRA sought to take out a million dollar loan for the purpose of paving every road in the Shores. The swimming pools, now over 30 years old, were in desperate need of replacing. A committee was formed to research options. It was determined that it would be too expensive to replace all 4 of the RRA’s swimming pools. The decision was made to replace the four existing pools with two on each side of the lake. The committee had also found that the new pools could only be 5ft deep due to insurance coverage. It wasn’t until after it was too late was it found that the depth of the pools did not matter. Residents were upset at Board’s plan, especially those who had bought homes specifically near a pool. During this time, a proposal to move the office to the Clubhouse area was also made. South County Ambulance District (SCAD) had expressed interest in purchasing the RRA’s existing office as a new headquarters, but eventually settled on a location next to the Rome Fire Department. In 2001, a lawsuit was filed against the Association over the ballot nominations process. The suit was dropped, but was refiled the following year. The Board passed a one-time assessment of $25 to cover legal fees. Despite the bank backing out of large loan needed to pave the roads, all 26 miles of roads in Roaming Shores were paved. To make it through the end of the year, the RRA had to take out a smaller loan. Improvements continued in the Shores despite setbacks with a new tennis court constructed the year before the new pools’ completion and A/C units were installed in the Clubhouse. The A/C units were funded thanks to a generous donation from the Promotion Club with the stipulation that work began on their installation at once. The Village also completed construction of its sewer plant expansion. Moving into the new information age, the RRA and RSV began looking into building a website for Roaming Shores. The domain roamingshores.org was secured. The RRA and RSV had started working more closely with one another once again. Due to the events of 9/11, the Roaming Shores dam was considered to be a terrorist target and the RRA’s insurance skyrocketed to $30k a year. As it could secure a better rate of $1,300, the Village bought dam from RRA for $1. The RRA in turn would pay the Village a yearly fee to cover costs. To help with enforcement on the lake, the RSV also purchased the RRA’s patrol boat. Eventually, the Building Regulations were also turned over as the Village could exercise more authority over their regulation. In the community, the Clubs of Roaming Shores hosted several popular events throughout the year. The need for new blood in Roaming Shores’ clubs grew more desperate when the OTO Club disbanded, but the community persevered. The Promotion Club hosted several new events including a Casino Night and a Murder Mystery Dinner. The club Friends and Neighbors hosted the very first Hotdog Night! 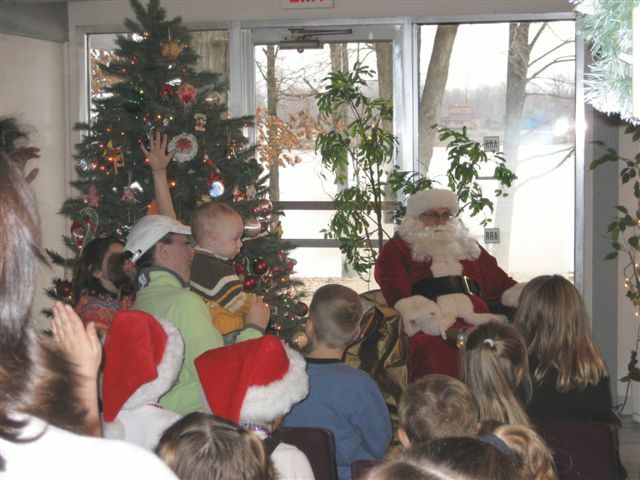 The popular children’s event, Breakfast with Santa, was taken over by the Fishing Club. The RSPD hosted a Bike Rodeo to teach kids about safety and gave away free bikes to some of the lucky attendees. The rodeo was so successful that it was hosted the following year. Marina Bay, Roaming Shores’ privately owned bar and restaurant on the water was purchased by Gabe Guilla and transformed into Paradise Bay where it remains today. Another popular destination for Shores members, the Pasta Oven, also opened in Rock Creek. Also in the community, local artist, Richard Burns created a watercolor map of the lake. It can be viewed at the Clubhouse. Another artist, Monroe Frados, created a mural of Roaming Shores. This mural can be found at the park on the corner of Route 45 and East Water Street in Rock Creek. Following a red algae scare, the lake was again lowered to freeze it. These efforts were successful, but fueled the need for studies of the health of the lake. A Stow-based environment service company, EnviroScience was hired by the Lake Management Committee to conduct several studies. By its 40 year anniversary in 2006, every road in Roaming Shores had a home on it. A new club, the Polar Bear Club was formed. 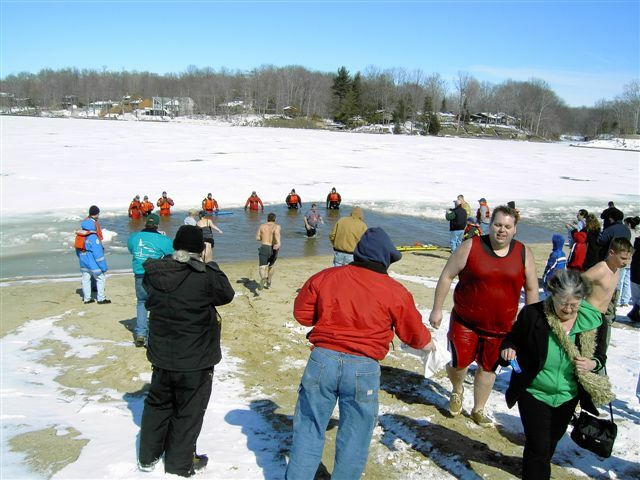 The club held its first annual Polar Bear Plunge in the icy waters of Lake Roaming Rock. The Shores was indeed growing. To help house its growing fleet of equipment, the RRA began making plans for a new maintenance garage. The Village was also growing with the addition of a Zoning Inspector, Village Administrator, and more police officers to the RSV’s staff. This, coupled with the condition of its headquarters, the need for a new Village Hall was discussed. 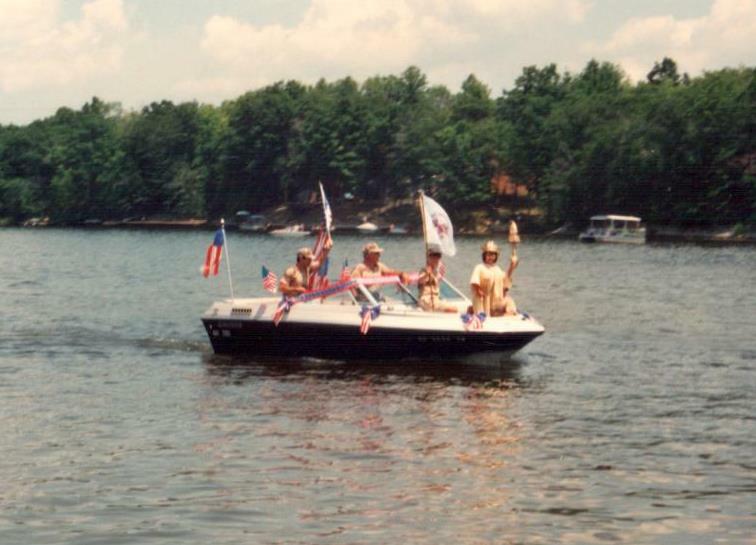 Due to increased expenses from the Association, the Village suspended the Lake Patrol. The RRA formed the Lake Safety Committee and again took over patrolling the lake. To assist in the enforcement, an automated boat ramp gate was installed. Over at the Clubhouse, the restrooms received a much needed revamp. An audit of the RRA’s finances was also performed. A lot of changes occurred at the Village during the late 00s. Mayor Carl Biats stepped down; John Ball was appointed to serve out the rest of his term, a position he still holds today. The Village also fired its Village administrator and its Zoning Inspector. The two positions were merged into one; Kevin Grippi was hired part-time to fill the role, a position he also still holds today. Weeds on the lake became an increasingly difficult problem to combat. The RRA hired a lake management company to help with the problem. The use of chemicals on the lake to combat the weed problem created a lot of controversy. It was decided to no longer use chemicals, anyone found to be doing so would be fined. In 2010, desiring to revamp the Roaming Shores website, the RRA explored hiring a computer intern. The RRA reached out to Kent State University and hired a recent graduate, Jen Addair, for the role. After revamping the websites of the Association and the Village, the implementation of a weekly e-blast, and the retiring of part-time office worker, Barb Berndt, Jen was hired fulltime. The same year, ground was broken for both the new Village Hall and RRA Maintenance Garage. The RRA’s Maintenance garage was completed in late 2010; the RSV’s new Village Hall opened its doors in 2011. Not stopping there, the Village looked towards replacing its aging lift stations following the completion of the Roaming Shores and Rock Creek water line. After 30 years, Village Solicitor William Bobulsky retired. The same year, Rock Point Marina announced its closing. Worried boaters minds were put at ease when it was able to lease its operations out, thus keeping its doors open. In the community, the first Cardboard Boat Races were held, hosted by the Promotion Club. The event encouraged participants, both young and old to create seaworthy boats out of only cardboard and duct tape. The boats floated (and sank) spectacularly. With the 45th Anniversary to be held in 2011, major thought was put into the direction of the Shores. Vision 2020 was created. The group desired to hire a planning firm to direct the Shores into 2020. Citing the high cost to hire the firm, the RRA declined to help fund the endeavor. Instead, the RRA began making its first big steps towards employing a major dredging operation. The debate between the method, mechanical or hydraulic, was hotly contested. Several informational seminars were held on the topic. The Board of Directors at the time sought to dredge using the hydraulic method. The project was estimated to cost over $1.5 million. In order to fund the operation, the Board made several changes. The first major change was to eliminate the position of General Manager. Gary Philips, who had held the position for the last 17 years did not have his contract renewed. The Board President took over the day-to-day operations of the RRA. In order to help fund the operation, Dues and Assessments, the new member impact fee, and boat decal fees were hiked. The Board also explored the potential to sell water to gas drilling companies and to sell mineral rights to help offset the costs of dredging. The encouragement of fracking under the lake, coupled with the rate hikes fueled much controversy during this time period. The Village faced its own difficulty during this time. Lacking funds, the county was no longer able to grind the material that was taken to the compost site. Unable to fund this endeavor, the site was closed. It was able to reopen the following year under private ownership. Combating an aging fleet, the RSPD purchased two new SUV style cruisers. In order to make the process of reading water meters more efficient, the Village looked into implementing remote readers. The RRA faced speedbumps in its dredging project. The Board was facing difficulty securing land for the dredged material; additionally, a US Army Corp of Engineers permit was required for the site. The purchase of the dredger was delayed as the Board focused on securing its DMRA (Dredged Material Relocation Area) site and piping. 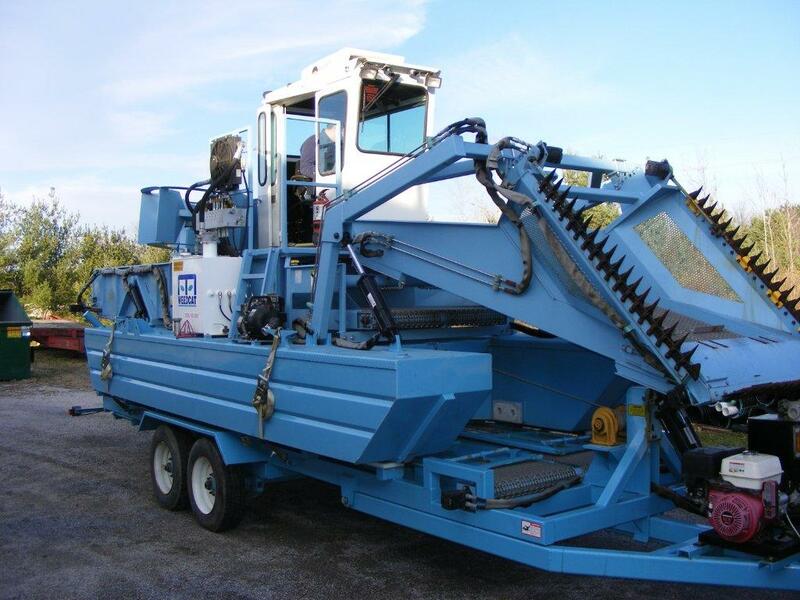 The Board instead purchased from the dredging company a replacement for its aging weed harvester. The new harvester was smaller than the previous model and ended up not being ideal for the lake. To help take the burden off of the Board President, a Director of Maintenance and Facilities position was created. Dan Mullins was hired to fill this role. Big changes continued as Roaming Rock Shores marched towards its 50th Birthday. Seeking to replace its outdated Membership Software, the RRA Office purchased a new system which could consolidate more member services into one. The direction of the major dredging project changed after three Directors were unseated in 2013. The new Board reassessed the project and determined that a mechanical method would be more cost effective and appropriate for the size of the lake and community. The Lake Management Committee split into three sub committees to tackle the lake’s depth, level, and sediment. 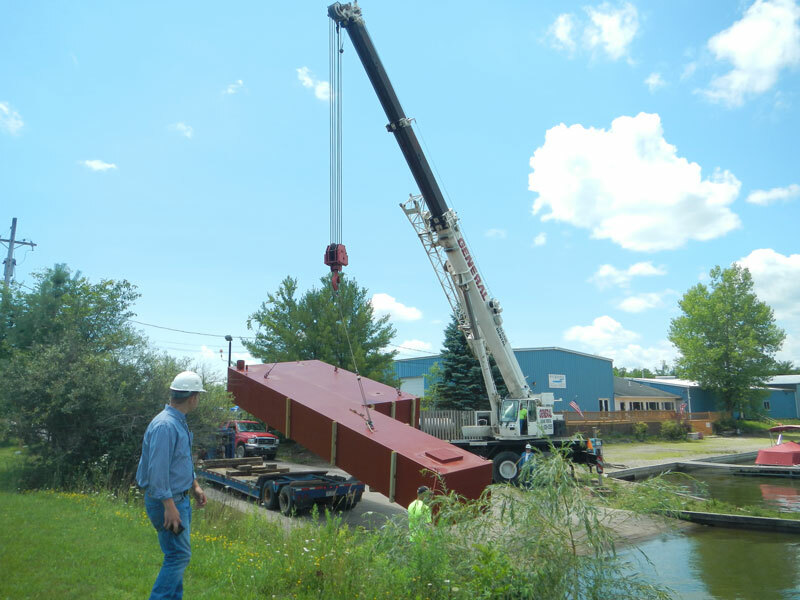 The RRA began purchasing equipment for mechanical dredging and commissioning the fabrication of barges. The operation would involve a track hoe mounted to a floating barge. Sediment would then be deposited onto hopper barges and transported to the shore for offloading. 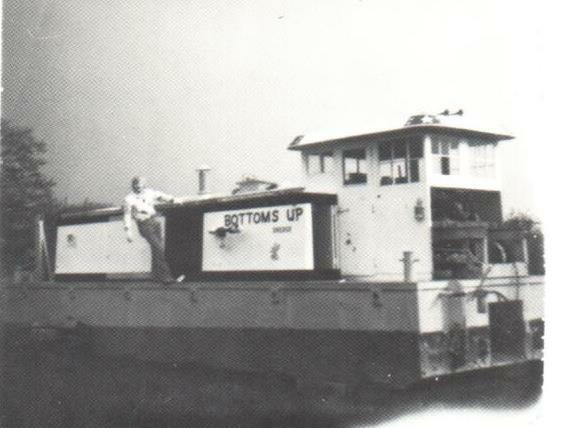 Two track hoes, a barge platform, two hopper barges, a dump truck, a push boat, and a bull dozer were purchased by the Association; all of the equipment could also be used for projects outside of dredging. In the 2014, the RRA launched its dredging equipment and began removing sediment from the lake. The project is ongoing. Also added to its fleet, newly promoted Operations Manager Dan Mullins made an even trade of the smaller weed harvester, the Aqua Cat Weed Harvester, to another lake community for an Aquarius 420 Harvester. The new harvester is much more effective at removing weeds. The Village also made improvements to its fleet of equipment and aging infrastructure. A new Utility truck and Police Cruiser were purchased and added to the Village’s fleet. For the first time in its history, the RSPD hired two fulltime police officers, Dan Bennett and Dave Bonfield. Restoration work was also performed on the Village water tower and the dam spillway. Also succumbing to age was the RRA’s Office. Structural concerns forced the Association to move its office to a temporary location in Rock Creek. The Association is currently in the process of planning to build a new office on the old office’s site. Reacting to the way a recently passed Bylaw which restricted the Board’s spending to $500,000 without a majority vote from the active membership was passed, the Association was sued by Neighbors for a Better Roaming Shores, the same entity that had fought to save the Police Department in the 1990s. The case was eventually settled. The Association passed a one-time assessment in 2016 to cover legal expenses incurred while defending itself. Rock Point Marina was sold at auction to Shores residents Sandro and Jennie D’Amicone. Since acquiring the Marina, the D’Amicone’s have been making several improvements to the aging Marina. In the community, the Fishing Club celebrated its 40th year. Over 90 members, family, and friends attended the event. 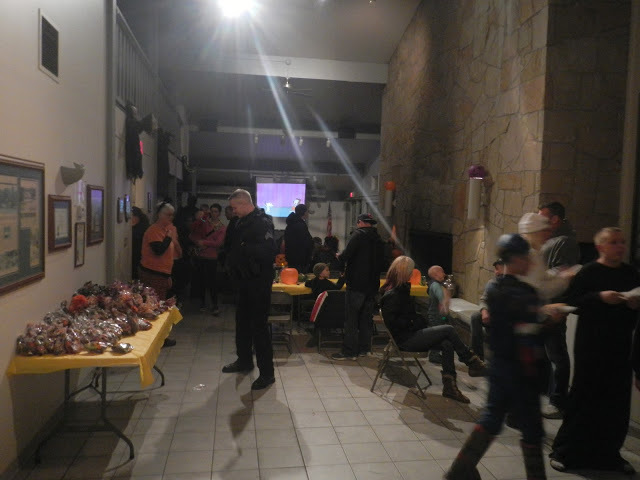 The RRA and RSV joined forces to host a Halloween Happening at the Clubhouse. Attendees enjoyed treats, cider, a movie, and free hotdogs from the RSPD. The event was such a success that it will be held again with even more to do for the little ghosts and goblins. Here we are in 2016, 50 years after Roaming Rock Shores’ founding. A lot has changed with a lot still to come! Already this year, the Clubhouse was improved with half of its original floor replaced due to cracking. The flooring itself was replaced with Nature Stone with the lake outlined on the floor as its centerpiece. Jack McMillin donated a marlin to the RRA which now hangs on the fireplace. The lighting, doors, and windows were all replaced to increase the efficiency of the Clubhouse. 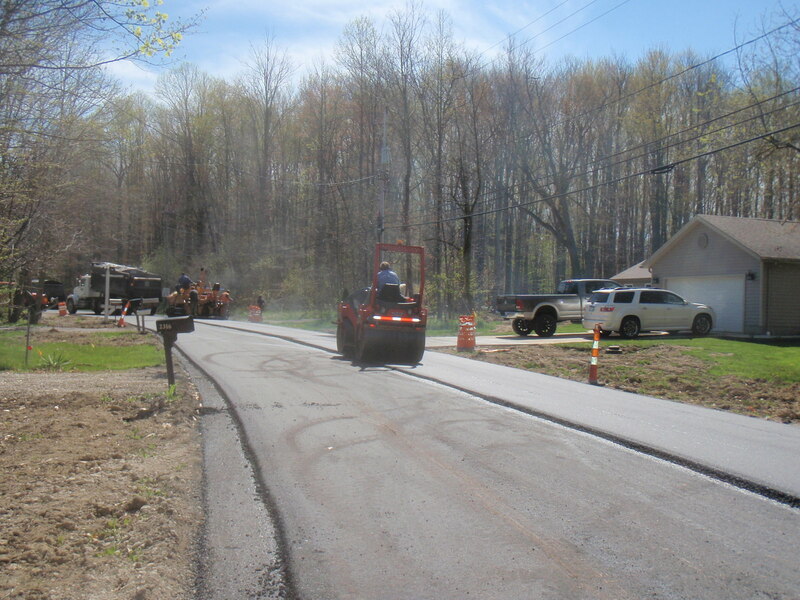 The Village has been hard at work with its Morning Star Drive and Flame Lake Drive improvement project. The project is now well into its second phase with the third phase slated to begin in 2017. Of the 28 lift stations in the Shores (more than the City of Cleveland), the Village has successfully replaced 10 with 2 more set to be replaced by 2018. Over at the Police Department, Chief Rasmussen retired after nearly 28 years patrolling the Shores with the RRA Security Forces and the Roaming Shores Police Department. The Association also continues to make improvements and renovations to its existing infrastructure. A new office is set to break ground in 2016. Future plans include a complete reconstruction of the existing roads to make them more sustainable. Plans for the beach areas include renovations to the restrooms, new pool furniture, painting the Clubhouse and an improved sound system. Dredging will be a continuous operation. The continued health and success of Roaming Shores into the future is dependent on its Membership. Get involved, this is your community! While the History of Roaming Rock Shores has undeniable been “rocky” throughout its 50 year history, one thing that cannot be denied is that, despite all of the disagreements, hard times, and happier times, Roaming Rock Shores has always been home to passionate people. Passionate about their way of life, passionate about their community, passionate about their politics. This passion was driven by people who have worked very hard to make the community what it is today. While common ground has been as shaky as its foundation, Roaming Rock Shores has always overcome and endured, and will continue to do so for the next 50 years and beyond. The RomeRock Association assumes no liability for errors or omissions. This documentation of the History of Roaming Shores was completed for the 50th Anniversary by RRA Office employee Jen Addair. A big thanks to Carolyn Tharp for her own work in documenting the history of Roaming Shores beginning with her first history compilation completed for the 35th Anniversary. Thanks also go out to Barb Buckley, Leeann Moses, Pat Sowry, Helen Sopko, and Mike Cyrgalis for their help and contributions!